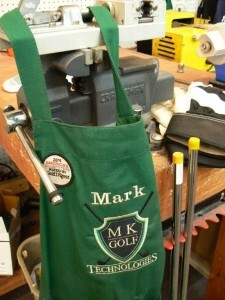 Why would you want to be custom fit for golf clubs by MK Golf? “After a 1/2 hour at a driving range to correct the swing flaws you noticed, and two days of walking (and practicing) 9 holes, I played in the Thursday money game at Alsation. 78 and 3 birdies later, I was the favorite “E” player there. The Ping i500 Irons are fantastic. They tracked like they were on a string. They are at least 1/2 club, but closer to a full club, longer. Surprisingly forgiving. Yesterday, I hit a 5 iron clearly on the toe. It still reached the elevated green and held. They have a noticeable “click” especially when hit flush. I don’t think they have the bite of my old Mizuno’s. But the ball flight is higher letting the ball drop on the green. As good as the i500’s are, the Mizuno wedges are even better. These things get the ball up easily from varying lies. The ball checks and stops. The 58 degree is much more user friendly than my old Mizuno 60 degree.